This stall has been here … like forever; offers Lou Ngap Fan (卤鸭饭) or the Teochew style braised duck. 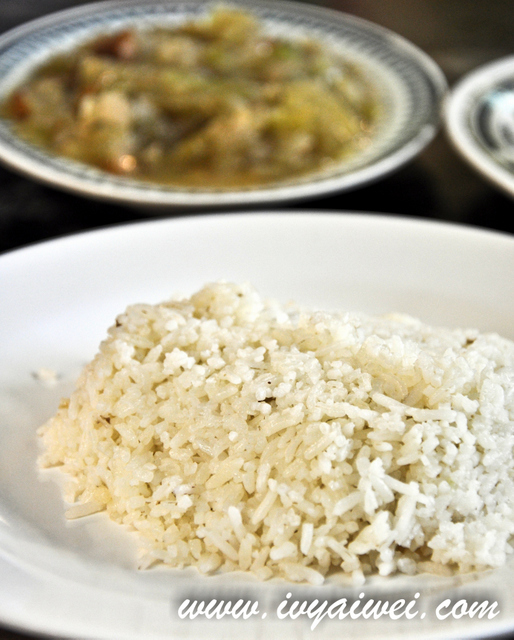 Tucked inside this kopitiam – Restoran Kam Heong 甘香茶餐室, attracts patrons from all over the place. My family too, often hang out here for dinner. Of course, Braised duck 卤鸭 is the main character over here. 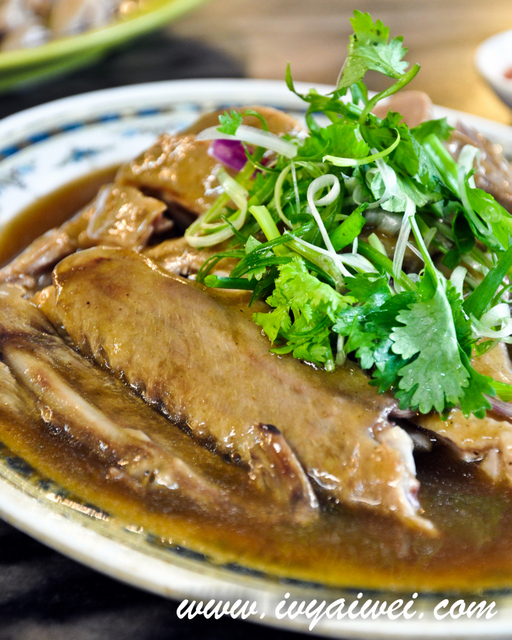 Succulent tender duck meat; cooked with a variety of Chinese herbs, braised in really thick gravy but light in colour. 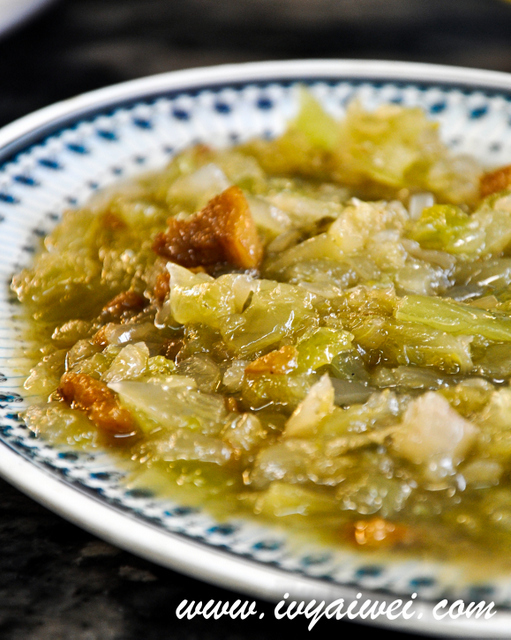 Ham Choy or Teochew Salted Vegetables was served piping hot. Very fragrant with lards bits that added in. It wasn’t salty at all, just at the right level of saltiness that is able to increase one’s appetite. Aside from braised ducks and salted vegetables, they serve innards too! I don’t fancy innards actually, but I do have my hearts over the intestines; to be precise, the duck intestines. 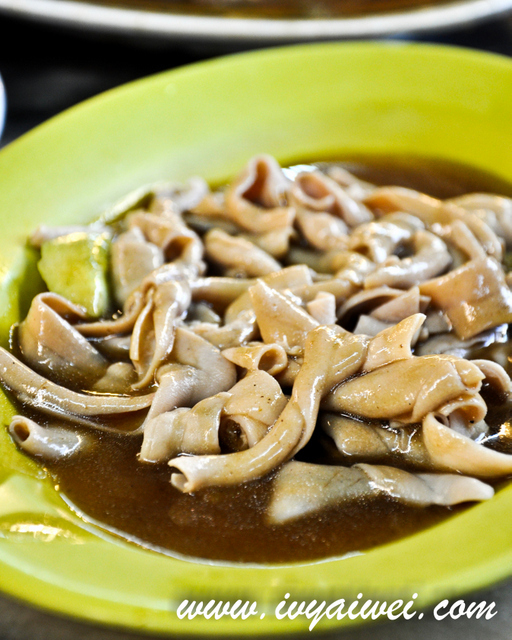 Crunchy duck intestines, drenched in the duck broth; addictive and I couldn’t stop having them! Priced less than Rm 30 for above (with half bird of duck) that enough for 4 pax. 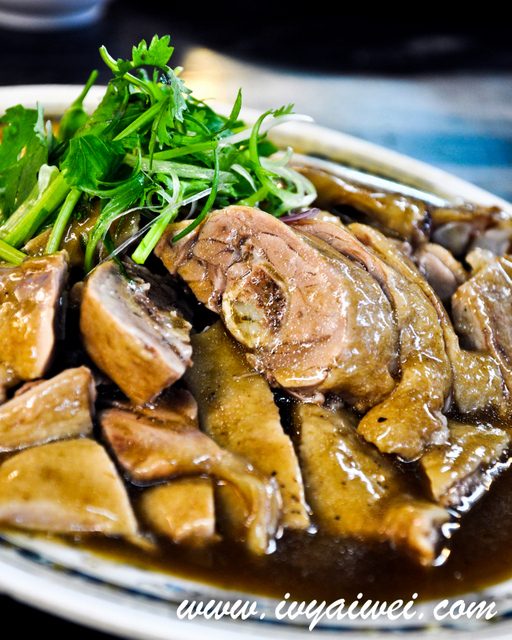 Other than the above, they serve also Braised mushroom, Braised Pork Knuckle, Braised Tau Fu, Braised Egg. Our favourite ducky place! Reasonable prices too! I think this is THE duck rice stall that a friend had brought us to before, although I want to ask, is there a char kway teow stall there too? Cause the one I went to has a CKT stall as a fellow neighbor. Nevertheless, I’ll be sure to have a meal there when I’m in the vicinity. hmm, i am not too sure if there is any CKT around. 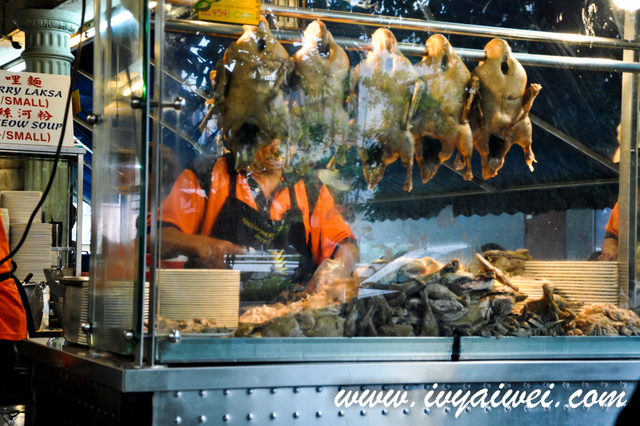 but this is the duck rice stall, yum and nice! Ooh, looks very saucy and perfect for soaking up with rice.